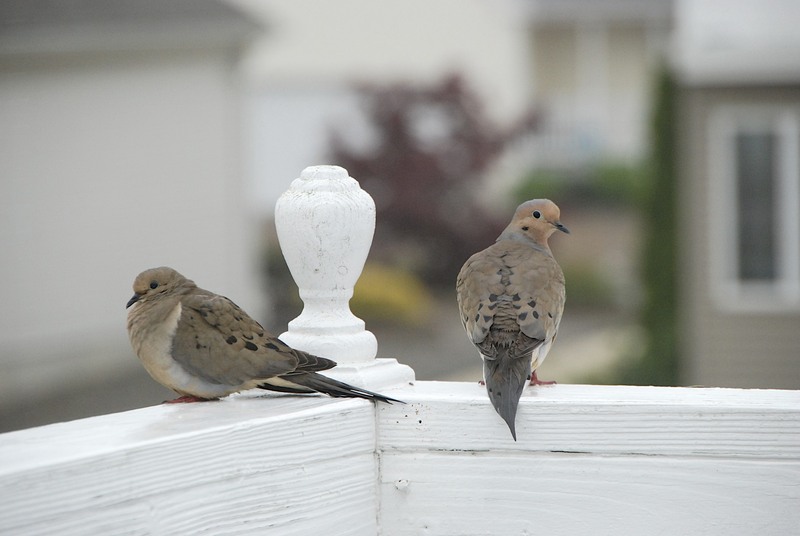 Mourning Doves are cute (annoying) and peaceful (noisy,) but they insist on nesting in the rafters over the porch despite all efforts to stop them (fish line, whirligigs, yelling!!!) Then, once they lay their two little eggs, someone maternal seems to appear and declare their removal cruel and unacceptable. 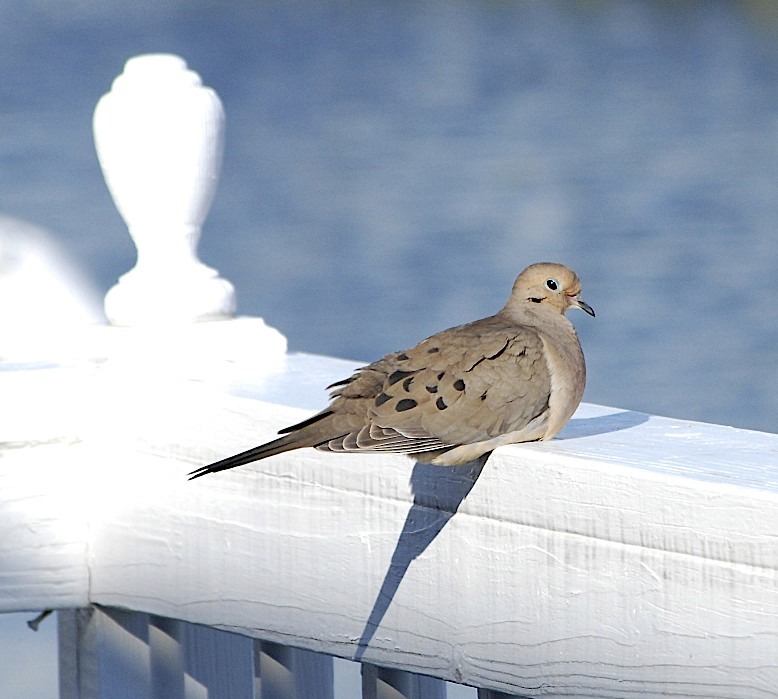 Mourning Doves mate for life, annually claiming a nesting place as their apparent mandate to colonize the planet. 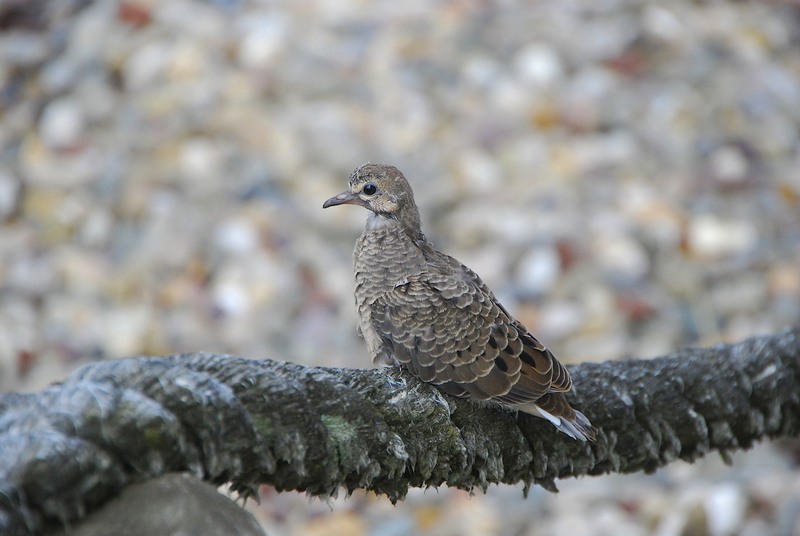 Each pair produces up to 6 broods of two “fledglings” each, every season. So the following year, the demand for housing (!) is that much stronger. They do not pay rent. They just go “woo WO oo oo oo,” breed, and throw their little twigs all over the place. Aside from Calvin the cat, there seems little I can do, but smile meekly…and take pictures like these: The initial “scouting” process; the nesting; and finally – a two week old “fledgling” in it’s first day out of the nest. Cute! If there is any consolation, however….I was recently the proud recipient of the “cool picture” award from the fine judges at ViewBug for this final image. Soo..that’s good. That’s very good. …….Maybe they can stay! Nice photos! And thanks for reading all of those postings on my blog today! Yes, doves are very maternal and loving. 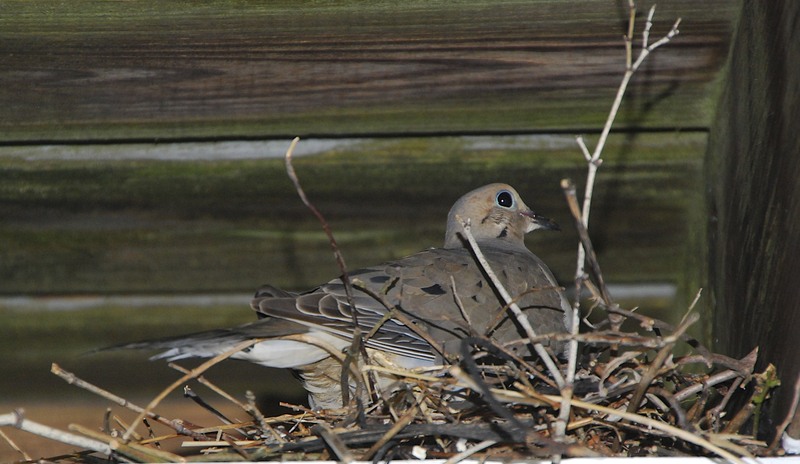 I even had a female dove make a nest outside my apartment one day, where after she laid several eggs. Amazingly she continually invited me to come to the nest by flying to my shoulder, playing with my hair, flew back to her nest and peered “voluptuously” (if a human could say that) at me. She’d repeat this behavior every day for nearly two months. Alas, her eggs were infertile, and seeing she wasn’t successful in courting me, she flew off. I hope she found happiness, and the mate she so needed. That’s remarkable about engaging so close with you. If you have any kind of a soft spot, that’s hard to resist! She’ll probably be back next year!